A few years ago, I traveled to western Kansas upon the invitation of Gov. 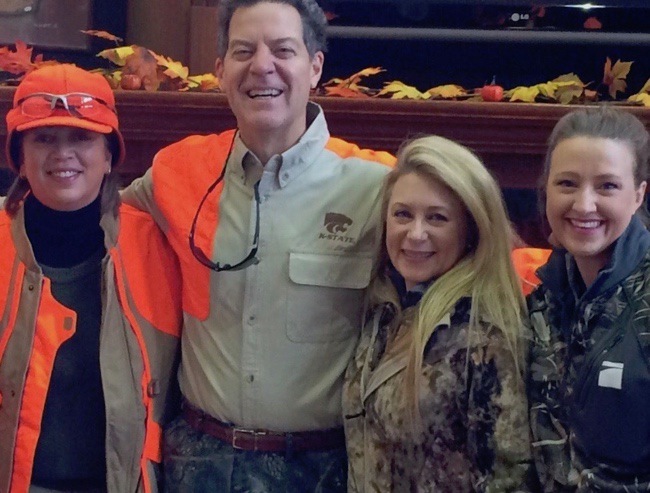 Sam Brownback and the Kansas Ringneck Classic, in order to participate in my first-ever wild pheasant hunt. The hunt raises money for youth hunting and conservation projects in Kansas. My friend, Julie Golob, who is a world-champion competition shooter, also received an invitation and since she lives somewhat along the way between points A and B, I picked her up and we headed west. We had a little free time for side trips along the way. Here’s one, in particular, in Wilson, Kansas, home of the world’s largest Czechoslovakian egg! While at the event, we made time to visit this site, in Goodland. Recognize it? It’s van Gogh’s “Three Sunflowers in a Vase!” It’s probably sitting atop the world’s tallest easel, too. 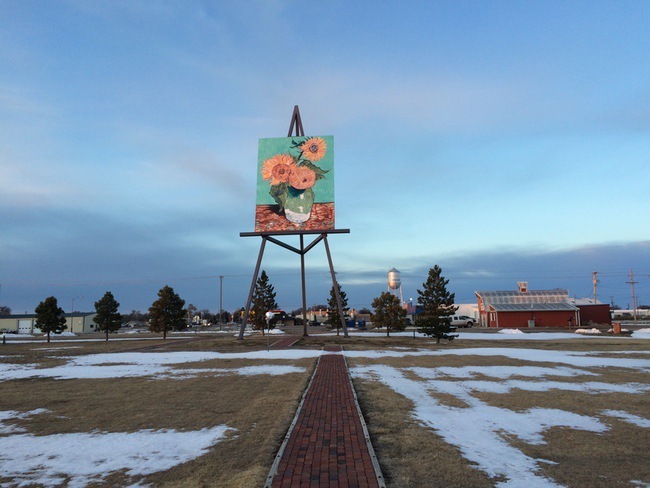 We also stopped to see the world’s most artsy toilet bowl, up in Lucas. 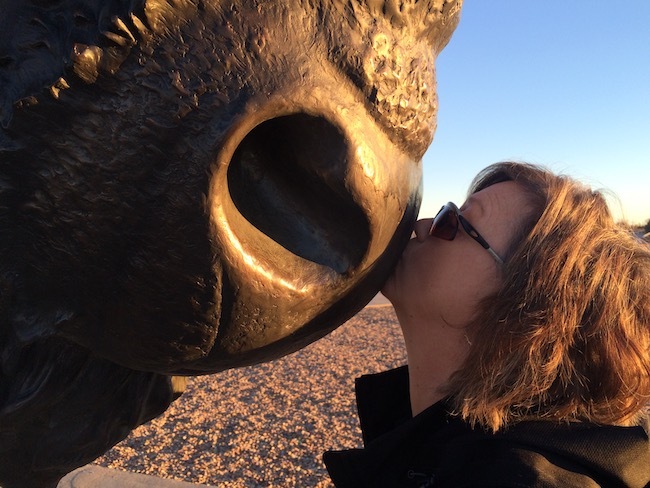 And we kissed the buffalo in Oakley in front of the Buffalo Bill Cultural Center, and Julie’s lips almost stuck. 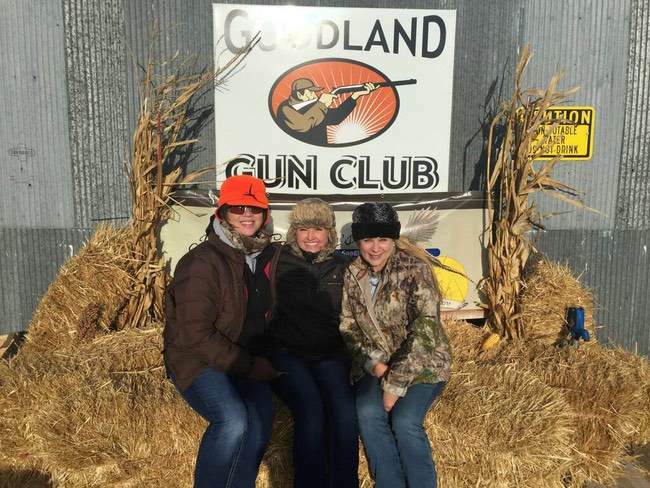 Me (on the left, looking quite glam in my Stormy Kromer hat), with Julie (in her Russian look) and our friend, Anne, the coach of the University of Maryland shotgun team. Unfortunately, the world’s largest ball of twine lay too far to the north for us to visit on our way home. Maybe next time. The moral of this story? Take time to stop and create a side trip, a mini-adventure. Kansas is home to so many odd roadside attractions. You can see all the videos from our side trip adventure by checking out this post over at my other site, Women’s Outdoor News. Here we are again, with the guv (Sam Brownback) in 2015. I’ll be headed to this year’s Kansas Ringneck Classic this week, so watch my Facebook and Instagram pages for updates.